Before you cry “bat bug!” Call Barnes Wildlife Control’s Bat Bug Removal Service Today! Bat bugs are moderately common in the midwest US and are found in houses and buildings that harbor bats. Infestations in human dwellings are usually introduced by bats carrying the bugs on their skin. Barnes Wildlife Control Bat Bug Removal Service is THE Dayton-based company to help resolve your bat bug issue for good. We use the latest, most advanced techniques combined with the best extermination products available. Our professional, highly-educated technicians are equipped to meet all of your bat bug needs. Please keep in mind, Barnes Wildlife Control Bat Bug Removal Service is a locally owned & operated business. Our team is licensed and insured to provide an effective bat bug removal service across southwest Ohio. Bat bugs and bed bugs are in the same insect family classification and look extremely similar. In fact, in many cases the only way to tell the two apart is through microscopic examination. Bat bugs and bed bugs are often mistaken for one another, but differ in their behavior. Bat bugs primarily live near bat colonies, hiding in small gaps, cracks, and crevices. If the host bat colony is excluded or dies out, bat bugs are known to move closer to humans and take up residence in the typical bed bug areas like dresser drawers, linen closets, and mattresses. Bat bugs will feed on humans when a bat colony is removed, but there is little effect on humans beyond the level of annoyance. Why Choose Barnes For Your Insect Control Needs? We aim to stay two steps ahead of the game at all times. Barnes Wildlife Control employees use the nation’s leading products and most advanced removal methods. Our technicians are well-trained and make a point to continue their education. Our team attends national seminars and completes extracurricular coursework so that we can provide our customers the best possible service. CALL BARNES WILDLIFE CONTROL AND PUT AN END TO YOUR PEST and BAT BUG PROBLEMS! Barnes Wildlife Control Is Ohio’s #1 Wildlife & Pest Control and bat bug removal service Company. Call (937) 340-1867 Today For Our Expert Bat Bug Removal Service! You might think you know everything there is to know about bat bugs. For example, they like to feed on your blood while you sleep, they cause red itchy bumps, and they’re hard to exterminate. But these little parasites hide many secrets. Check out these seven interesting facts about bat bugs. A bat bug removed from a Bellbrook chimney. Bagged to be sent for positive ID. Bat bugs (or bed bugs) in your home? 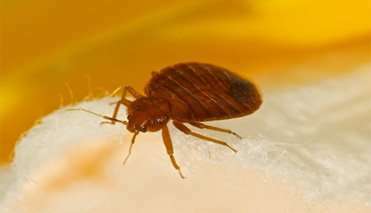 For expert, long-term bat bug, or bed bug, removal service, Call Barnes Wildlife Control at (937) 340-1867 Today. 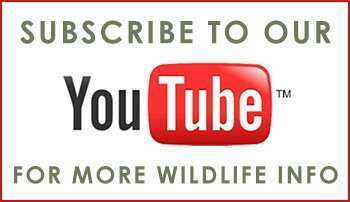 Let Barnes Wildlife Control answer some of our clients most common bat bug question? Q - Do they bite? 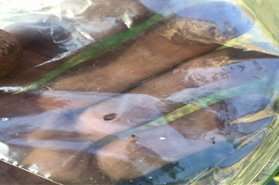 Yes, bat bugs can bite humans and have been known to feed on humans if the food source is removed. Q – Does this mean I have bats? It is very likely. If you have bat bugs in your home, there is guaranteed to be an active bat colony nearby. Q – What diseases do they carry? Bat bugs are not known to transmit diseases to humans. Q – Will they breed in my house? If there is an active bat colony in the home, bat bugs will breed. Once the bat colony is removed, the breeding stops as the bugs need bat blood to reproduce. Q – Is a bat bug treatment safe to be around? Depending on the insecticide used and the area treated, there can be health risks. However, our trained staff will explain every step of the process and inform you of any necessary precautions to protect you and your household. Our team will wear the appropriate PPE (personal protective equipment) to protect ourselves as well when applying treatment. A roosting bat in a Xenia, OH attic. Barnes Wildlife Control removed the bats and residual bat bugs. Barnes Wildlife Control Bat Bug Removal Service will solve all your bat and bat bug problems. Once the insects in question are identified as bat bugs, the real work begins. To truly rid a home of bat bugs, the food source must be removed and the bat colony excluded to halt the breeding cycle. 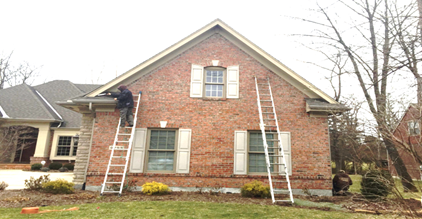 Barnes Wildlife Control’s Bat Bug Removal Service techs sealing a Beavercreek home for bats. Once the bat colony is removed, remaining guano and soiled insulation must be removed. These provide bat bugs a place to hibernate. Our highly-trained, professional pest removal team uses the top treatments on the market. We may use a variety of aerosols, fogging chemicals, dusting agents, and contact killing insecticides to rid your home of bat bugs. Barnes Wildlife Control is Ohio’s top pest removal company. Call today at (937) 340-1867 for expert bat bug control service! LOOKING FOR PEST CONTROL NEAR YOU? Bat Bugs In Your Home? Bat Bugs Biting You? Are Bat Bugs Infesting Your Pets? Contact Barnes Wildlife Control’s Bat Bug Removal Service Now!